By partnering, the tourism and the conservation sector can undoubtedly achieve mutual benefits. Integrating the conservation of birds into tourism practices in the Middle East region could prove a great asset for this sector. Businesses that take into consideration the protection of migratory birds can differentiate themselves from their competitors, becoming more attractive to regional and international tourists sensitive to environmental and ecological issues. 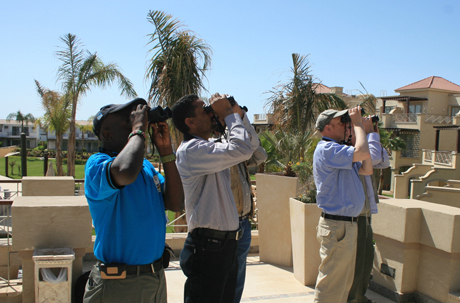 Birdwatching is a growing market internationally, yet still unexploited in the Middle East, despite its important economic potential. An estimated three million international trips are taken annually with the primary purpose of birdwatching; and The US Fish and Wildlife Service reports that 40 percent of birders are willing to travel to discover new birdwatching opportunities. The Migratory Soaring Birds (MSB) project aims to promote and integrate MSB friendly practices in the tourism sector in the countries along the Rift Valley/Red Sea flyway. The project will start to influence the tourism sector by setting guidelines to encourage conservation of migratory soaring birds while developing and managing tourism projects and activities. As part of the strategy, MSB project partners are actively working in their respective countries to establish strategic partnerships with major actors in the tourism sector. If you are a member of the tourism industry in any of the 11 countries or in the wider region and would like to learn more about how the project might be of interest to you please contact us or any of our partners. To take conservation practices in the tourism industry in the region to an ambitiously high level, the MSB project in Egypt is implementing a national programme to target this sector. 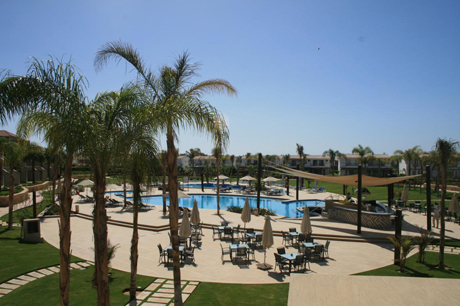 The programme aims to develop, incorporate and test the principles of “MSB hotel friendly practices” in cooperation with the main player in the accommodation sector in the Red Sea coastal area in Egypt. The project aims to build capacity on MSB related issues, organising joint MSB and other tourism-related events and to compile and publish case studies of this collaborative venture. To learn more about the national component of the MSB project in Egypt click here. The Regional Flyway Facility (RFF) supports the work of MSB project partners by providing technical support, building capacity of sector stakeholders, raising awareness at a regional level and facilitating coordination and exchange of learning. For that purpose, RFF is working towards the development of materials and tools to guide and enhance the integration of migratory soaring birds’ conservation and ecological services into the tourism sector. If you would like to have more information on the RFF and its work please contact us. Tourism is one of the fastest growing industries in many countries along the Rift Valley/Red Sea flyway; it is becoming a major source of income and employment for a considerable number of people within the geographical range of the project. Certain countries like Egypt are leading the field, being already well established world-class tourism destinations. Tourism, according to the Egyptian Ministry of Tourism, currently represents a direct +10% of the GDP, +40% of the total non-commodity exports and? around 20% of foreign currency revenues. The World Travel and Tourism Council (WTTC) have estimated that the tourism sector will make a direct contribution of nearly 10 percent of GDP in 2012. It is reported that about 129,500 people are employed in the sector; this represents, for example, 9.5 percent of the total labour force in Lebanon. This represents an increase of 4.5 per cent and 3 per cent respectively compared to 2011 and it is expected to reach a 32% of the overall force in 2022. Moreover, the tourism industry positively affects many other sectors within the economy (construction, agriculture etc.) and thus the overall contribution in local economies is much higher when considering these effects. Again, in the case of Lebanon, the overall direct and indirect contribution of the tourism sector is generating US$15.5 billion or 35.5 per cent of GDP in 2012. In order to meet the current growth of the industry, the countries in the region are rapidly expanding the tourism infrastructure to meet the growth in demand. This implies constructing new big tourism establishments, potentially causing serious degradation of natural habitats including preferred migratory soaring birds sites. Although many destinations in the Rift-Valley/Red Sea flyway offer nature-based tourism products, birds are poorly reflected in most of the promoted itineraries developed by local inbound operators. In most of the countries, the infrastructure needed for birdwatching is lacking e.g. professional guides, hides etc.. In addition, inbound operators and hotels are often poorly informed about the benefits of this growing market. Although the ecotourism industry in the Middle East is one of the weakest at the world level (Weaver; ecotourism 2001), there are nevertheless great opportunities ahead, demonstrated by the international success of the first ventures in the region. Although political volatility and severe seasonality are among the major threats, the tourism industry in the region is growing fast. There is a clear need for robust action to integrate conservation of migratory soaring birds in the early stages of its development. The Lebanon Mountain Trail Association (LMTA) launched on March 30, 2013 its fifth annual thru-walk from Andaket in North Lebanon.